Happiness isn’t a ‘blessing’ reserved for ‘the lucky few’, but a universal right we can ALL achieve through active choice and practice. Caroline Emile, Happiness & fulfillment coach inspiring and supporting individuals to unleash the best version of themselves and live purposefully. Since time began, we humans have pursued happiness as if it were a big mystery to be solved. If we search the internet on the subject, we’ll find endless quotes, books, webinars and an entire array of paraphernalia to help us live happier lives. 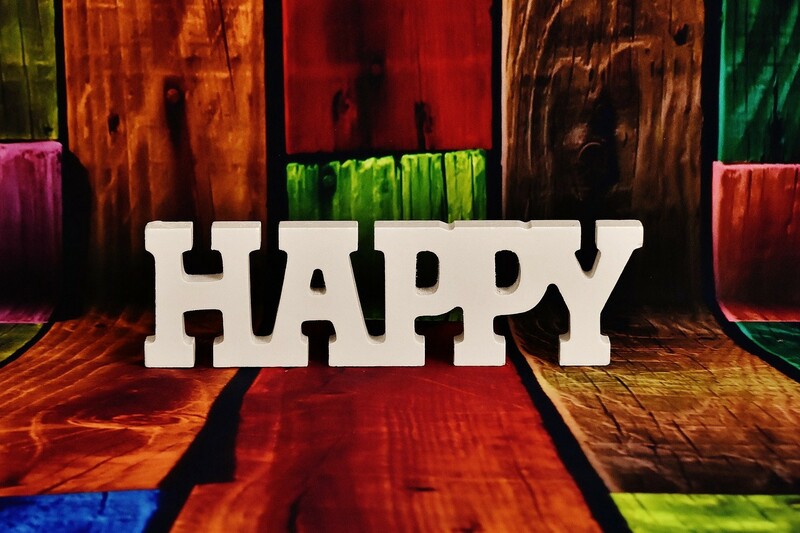 In 2011, even the United Nations jumped on the bandwagon and held its first high-level “Happiness and Well-Being” meeting, with the first World Happiness Report being published the following year, and the first International Day of Happiness being observed on 20th March 2013. Happiness is ultimately a personal choice, nothing more or less; it is a decision that we need to proactively refresh daily. To be happy, we simply need to open ourselves up to this possibility — if we are determined to feel miserable, no amount of love, success, wealth, health or other will ever satisfy us. We can only be happy if we decide to allow ourselves to be. “But who deliberately chooses unhappiness?” some ask. Many of us subconsciously do, actually. By allowing our negative mind chatter to have more ‘air time’ than our positive thoughts, we unwittingly choose unhappiness instead of happiness; as the adage goes, what we focus on multiplies. For example, by retelling ourselves over and over again what a pain our daily commute to and from work is or how rude our fellow commuters are, we further increase our sensitivity to this and so amplify our frustration, creating a vicious cycle. If, instead, we recognised the tremendous power we hold by being able to choose our thoughts, our experience could be very different. In the previous example, we could choose to look at our commuting time as an opportunity to read/listen to a personal development book, for example, or to meet other commuters’ initial façades of ‘rudeness’ with a gentle smile, which may encourage them to behave differently and to even reciprocate with a smile of their own (probably to our surprise!). In short, we hold the keys to our happiness within us, based on how we choose to perceive and react to external issues. Practice choosing to reframe situations to highlight the hidden opportunities within them, rather than commiserate about their challenges. A consistent ‘attitude of gratitude’ has been scientifically proven to improve physical health, reduce stress and toxic emotions, enhance empathy, bolster self-esteem and improve social connections, among other benefits; in essence, gratitude underpins happiness. We all have so much to be grateful for, yet in the hustle and bustle of daily life, we can often take much of our blessings for granted. I recommend writing a gratitude journal on a daily basis for 3–4 weeks to capture the many sources of happiness we have in our life. Practising any activity for a minimum of 21–30 consecutive days can help set it as an ongoing habit that requires little or no effort going forward, thus this is a great way to develop a gratitude mindset. Aim to write what you’re grateful for at the same time each day for consistency e.g. last thing at night before turning in or first thing in the morning about the previous day. Write at least three things that you’re grateful for each day when first starting out, and soon more and more will flow as you get into the swing of it. Don’t overthink but be guided by your heart — yes, that yummy, warm mug of hot chocolate you had to keep warm on a cold day is something to be grateful for — don’t overlook such simple pleasures! The more details you can give, the better. For example, instead of only writing “I’m grateful for the fun day I had today”, write “I’m grateful for the fun day I had today with my friend Mary. We chatted about the memories we had of working together over lunch at my place. I cooked my signature pasta dish and we had a great laugh!”. Be generous on every level, not just with your money and material belongings, but with your heart and time. We don’t live in a vacuum but are connected with those around us, and they in turn, with those around them; in short, we are ALL connected. When we give to others, we’re ultimately giving back to ourselves and studies confirm that those who regularly give enjoy higher happiness levels than those who don’t. Freeing up time to listen and be present for others who may need our emotional support. Helping others through our skills; for example, helping organise their financial affairs. Giving items that no longer serve us or bring us joy to charity. In fact the act of decluttering itself will give us an emotional boost as we clear our physical space of any excess (this is one of my own favourite activities!). Volunteering for a charity whose cause resonates with us. Don’t postpone being as happy as you can be another day! Don’t wait until you lose that extra weight you’ve been meaning to lose or until you get that new job you’re applying for; every single day is precious, so decide to maximise your happiness NOW! If you enjoyed this post, please press the heart button at the bottom to help it reach more people and feel free to share it directly. You can sign up here to receive my newsletter directly to your inbox. Click image to follow me on Facebook. A Recipe for Your Personal Happiness — Start With Gratitude & Be Compassionate!